We will share your website, product, service to our top 150+ live social bookmarking websites. 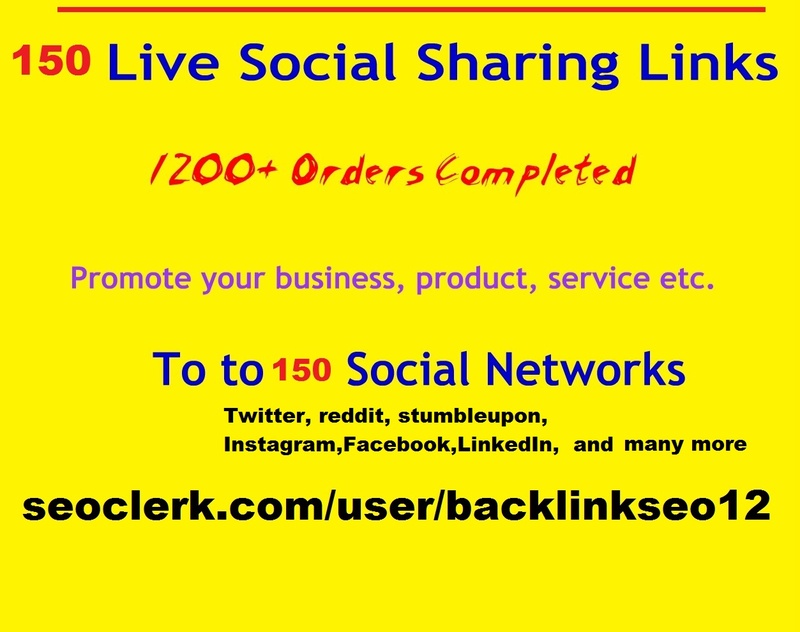 You will get live links report from Twitter , Facebook, StumbleUpon , Tumbler,LinkedIn, etc. All 150+ Links are permanent. Note: We don't grantee for ranking, traffic or all 150+ backlinks indexing. Instant 150+ Live Social Bookmarking Links within 24 hours for is ranked 5 out of 5. Based on 1 user reviews.